David Hallmark is a woodworker based in Portsmouth, New Hampshire who specializes in live edge wood art pieces. Operating under the name Imagination Counts, Hallmark creates each piece by hand in his own garage. Hallmark got his start in woodworking by creating wooden game inventions, but when a piece of wood passed by his shop that was too beautiful to cut into pieces, he knew that he wanted to start preserving the natural shape of the wood. Today, he specializes in creating wooden tables, benches and other furniture pieces with the natural curvature of the log maintained on at least one side, which creates a functional table that brings the outdoors inside. 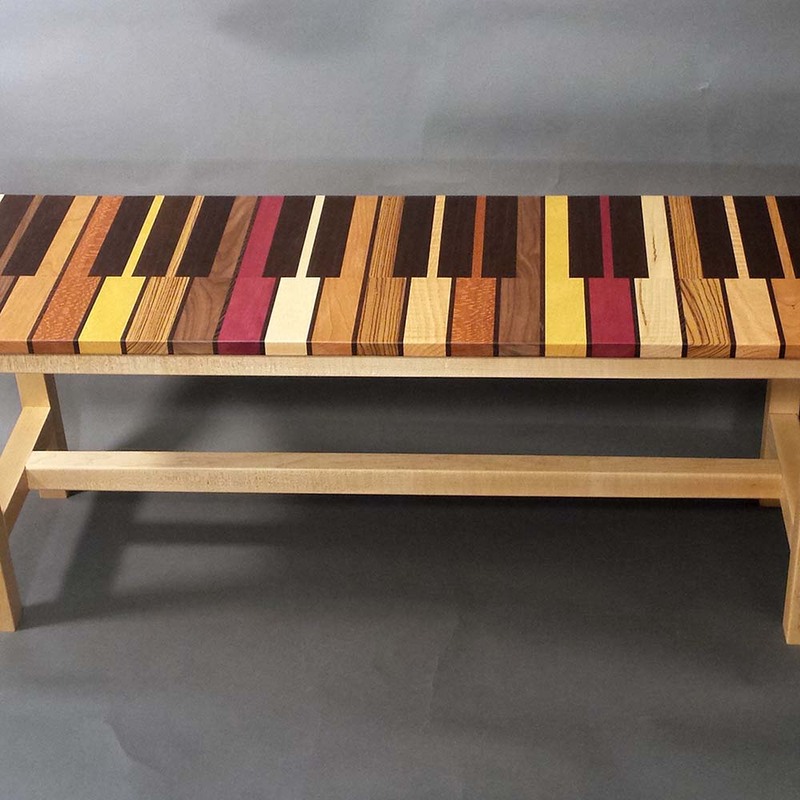 Each piece is entirely unique because they are all created from unique pieces of wood, so you can be sure that anything you purchase from Imagination Counts or David Hallmark is truly one of a kind.